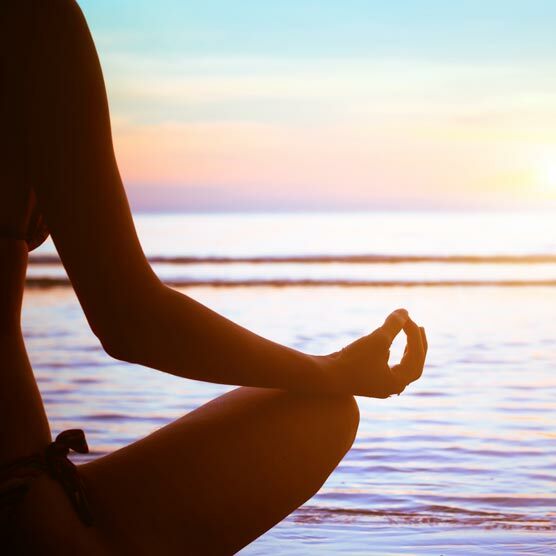 We previously discussed how meditation can help you de-stress, and many of you provided your top tips on how to best incorporate these techniques into both your daily life, and your holiday. Twitter user @Esthernagle says that learning to breathe well while meditating is imperative, because it will allow you to find mental space and peace, which in turn can help calm your nervous system in times of stress. “Simply observing the breath can bring calm to the mind and body,” she said. It’s also important to be able to anchor yourself and stay grounded in the moment. It’s easy to get distracted on holiday because you’re in a new environment, so taking some time, even if it’s only for 5 minutes, can help ensure you’re in the right frame of mind to fully enjoy your time away. @Lizzihill says it’s also a great idea to have quick reference points, such as places of interest and nearby landmarks. She uses these to keep herself present in the moment, and to ensure she’s acknowledging the new things around her. It can be frustrating if lots of little things are creeping into your head when you’re trying to enjoy yourself. However, @DarrenSurrey says that when trying to meditate, bad thoughts are just a natural part of the process - and we shouldn’t punish ourselves if they occur. City break destinations like Amsterdam, Prague and Budapest have tons of beautiful and interesting things to see, which can be great if you want to practice some mindful exploring not too far from home. You could even pop over to Europe for a relaxing weekend and back again thanks to the short-haul journey! No matter how long your holiday is, it never feels like you have quite enough time to experience everything you want to, or had originally planned to. Naturally, you want to make the most of your time away from home and work, but it’s important to take a breather now and again. Simply rushing around from place to place the whole time is only likely to lead to lead to more stress. @food_atheart says taking the time for a little mindfulness can do wonders, and you don’t even need to do it in the hotel room. “Even taking a few mindful breaths while waiting in queues helps,” she said. When being mindful, alongside listening carefully to your surroundings, @maxxminus says that it’s good practice to ask yourself what your next thought is going to be. Many people find doing so actually empties your mind, meaning thoughts, be they good or bad, don’t actually surface. This, in turn, provides a much better environment to relax and focus. Got any more tips and tricks that help you switch off from work stress while on holiday? Why not let us know by commenting below, or head over to Twitter where we’re talking about tons more mindfulness tips to help you make the most of your breaks.